Beach Week is a tradition in the Washington, DC area. Also known as Senior Week or Grad Week, it is celebrated as an opportunity for recent graduates go to local beaches to enjoy a ‘last hurrah’ with their high school friends. For many students, Beach Week encourages a week of dangerous behavior, including wild never-ending parties, binge drinking, and drug use. Such risky activities can lead to problems neither your nor your teen anticipated. Be aware of party host laws. Never facilitate underage drinking. Maryland law explicitly prohibits buying alcohol for minors and hosting underage drinking parties. Communicate with your teen about alcohol risks. Informed teens may be less likely to participate in alcohol abuse or drinking and driving. Be present during beach week. Stay with your teens at the beach, or at the very least, check in regularly. Take advantage of non-substance related activities. 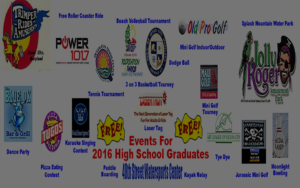 Ocean City now has free, sober events for graduating high schoolers. Collaborate with other parents. Supervision of teens is necessary to help prevent dangerous activities as well as assist those who find themselves in situations they never intended. Parenting requires keeping a delicate balance between smothering and protecting your children. Beach Week is one of those challenges of being a good parent.